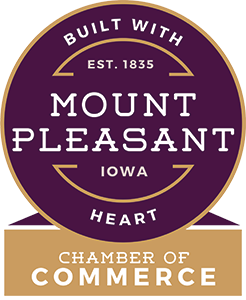 The Mount Pleasant Area Chamber Alliance encourages you to Look Local First while shopping for gifts this holiday season. Chamber Bucks make a great gift; they can be purchased in increments of $10, $20 or $25. Since it’s a busy time in our office, we encourage you to call us at 319-385-3101 and give us notice of the dollar amount and number of Chamber Bucks you are requesting. We would love to have at least a 24-hour notice to ensure your checks are finished in time. Cash, check or credit card payment is required when you pick them up at our office. Chamber bucks can be spent or donated at Chamber member businesses and organizations. Please recall that if you are a local merchant accepting Chamber Bucks as payment, they are to be treated like cash. When you take them to deposit at the bank, they are to be treated like a check. Don’t worry, all Chamber bucks checks have been prepaid. Shopping local keeps dollars circulating in the community, providing a boost for your friends and neighbors. Thank you for doing your part to Look Local First before shopping outside of town this holiday season! Chamber Bucks can be spent or donated at Chamber member businesses and organizations. Please recall that if you are a local merchant accepting Chamber Bucks as payment, then they are to be treated like cash. When you take them to the bank to be deposited, then they are to be treated like a check. Don’t worry; all Chamber bucks have been prepaid. Mt. Hamill Elevator & Lumber, Inc.
Mt. Pleasant Electric Contractors, Inc.
Jason Smith Plumbing, Heating & Cooling, Inc.